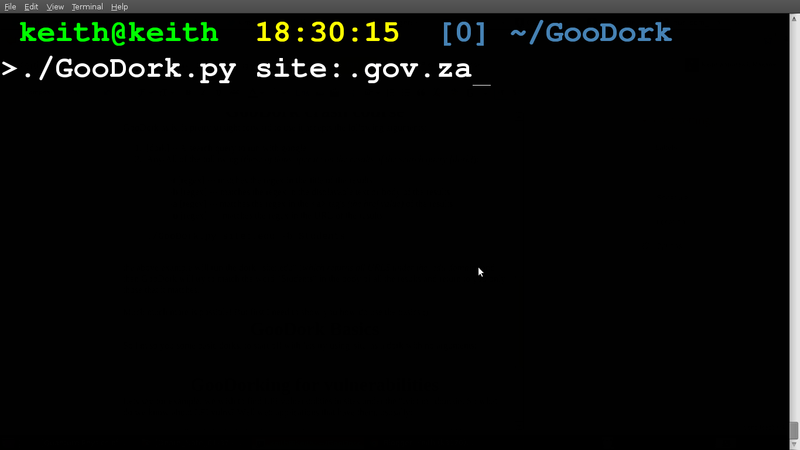 I recently started work on a very exciting project called GooDork in its most basic function this python script allows you to run google dorks straight from your command line. Though its real power lies what it allows you to do with the results from a google dork. Basically as regular expressions a compact programs used to specify how string should be matched. They provide incredible flexabiliy and power and should be part of every hacker/programmer's arsenal! If you already know about regex then the "google dorking syntax" or search directive syntax will look somewhat familiar to you, this is because its most likely parsed to regex or relates to a regex "machine" in some weird way. What does this have to do with Google Dorking? 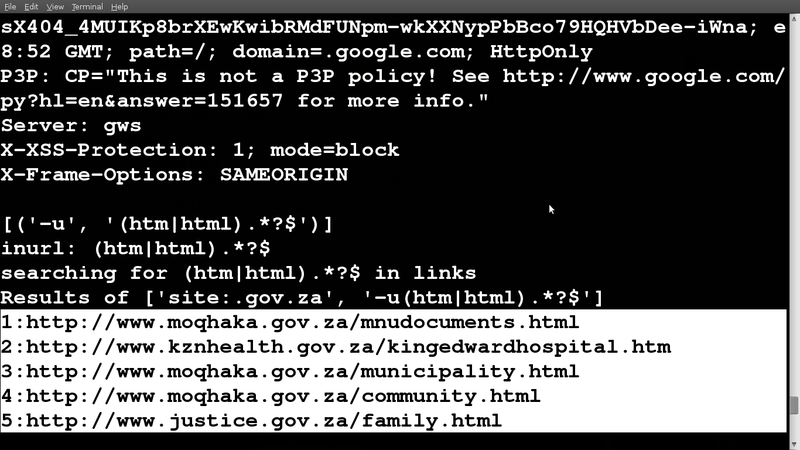 Though quite powerful, Google search directives have many limitations! For instance some search directives cannot be combined, they don't provide all the control we would like, others throw captures at you like crazy e.g inurl! How do we get around this? Well essentially, lets say we we don't want to use inurl in our Google search but still want results that have been matched according to their URLs, what we can do is run a normal Google search and then match the URLs that google returns with a certain value. This is where regex comes in, there is nothing more powerful at matching strings than regex! 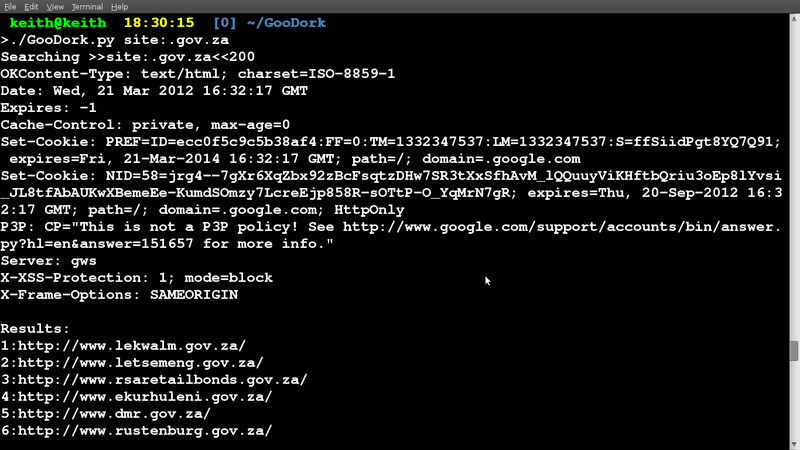 You do the dorking GooDork does the regex-ing! Just these three options prove incredibly powerful since you can do everything a dork can do and more! If you know your regex that is! 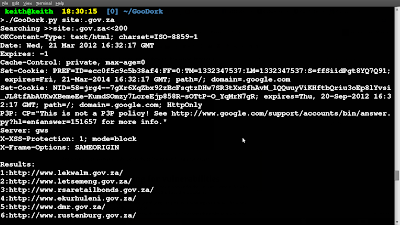 the above example will run the dork "site:.edu" (which returns all URLS under the .edu domain) and then GooDork will try to match the word "Students" in the body of all the results and return to you only those that it matches. 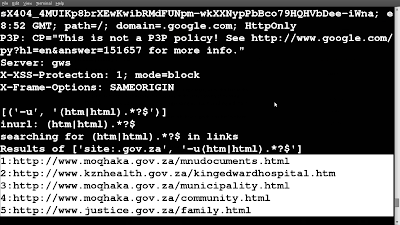 The first part of the output should look familiar to people who know a lil about HTTP, these are the headers that the google server sent back after running the query. Included these in the output so you can tell whats really going on if something goes wrong with the search query. The results in full glory are printed out after that. htm --- this is as the one above, so we can match those pages that are html but have this ext. 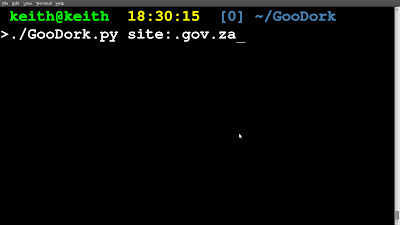 As you can see it only returned the html pages from the results list, this is a basic example of what you can do with GooDork, the following articles will focus more on plying GooDork to vulnerability hunting in web applications. Just had a glance of it and seems useful. You seem to be using the user-agent string as Internet Explorer 6.0. I tried modifying this in the netlib.py but failed. Can you provide a way to add custom UA, since Google's results vary based on the UA etc. Currently I am able to access only the first 100 results? Anyway to get all results? The parameters num=100&start=300 for example seem to do the trick. That would show you the 4th page of the result starting from 0, 100,200 & 300 displaying 100 results per page.